Aoba Lounge News No 108 is available now. You can get it at Aoba International Lounge counter or at PR box of train stations. It was also delivered as a circular of neighborhood community association in Aoba Ward. We will explain what to do when your children suddenly get sick. It is free to attend this seminar. How about stepping into international exchange activity by studying foreign languages! The time schedule of Wednesday Japanese class changes from September. 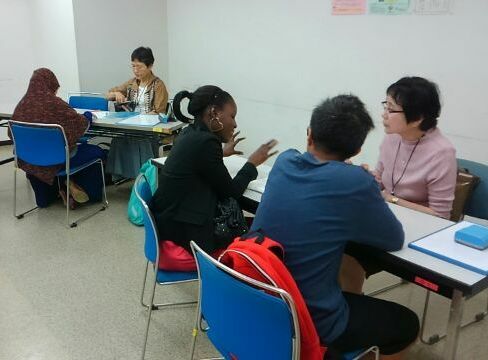 The Wednesday Japanese class starts 15 minutes earlier than the present time schedule. Sign up for our free newsletter and get the latest news of Aoba International Lounge.After enter your e-mail address, enter security code shown in below. After you click the subscribe button above, our system will send you a confirmation email that contains a link that you need to click on.